I seriously need to revise this page as I have other sewing machines that have found their way to my home. SEWING MACHINE REVIEWS COMING SOON ON ALL MACHINES PICTURED. CHECK BACK OFTEN OR SUBSCRIBE TO MY BLOG! Edison Zig Zag – I repainted this sewing machine, search my blog for “Is It A Keeper” post. 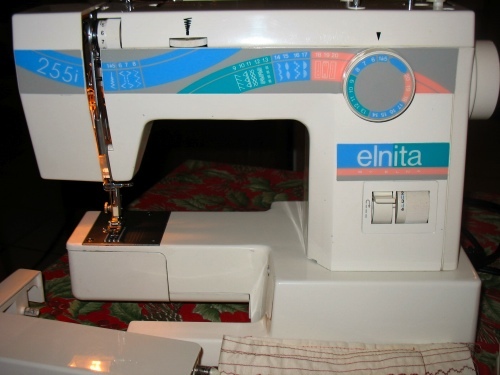 Elna Elnita 255i – to read a review on this machine click on the Sewing Machine Review Tab at the top of my blog. 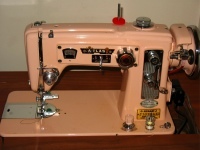 Kenmore 1040 Zig Zag – to read a review on this machine click on the Sewing Machine Review Tab at the top of my blog. 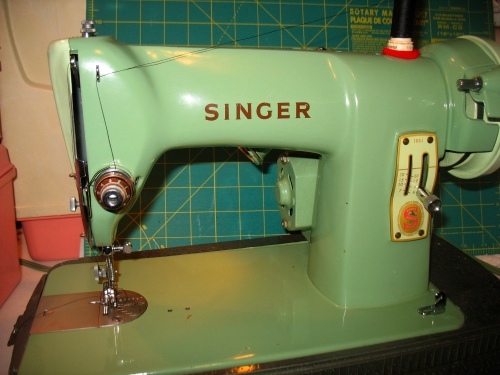 Singer 185J – to read a review on this machine click on the Sewing Machine Review Tab at the top of my blog. I think I am in love! I’m sorry the Edison doesn’t work, but that paint job is HAWT :0)! When did you start ‘collecting’? And where the heck do you keep all of these gorgeous pieces? No the Edison works perfectly now! It had this huge thread nest buried deep in the feed dog/bobbin area. Thanks for the compliment on the paint job, I was really happy with the way it came out but I traded the Edison recently. 😦 I was happy with my machine but my friend wanted it because it was a simple machine to operate and she gave me hers. I started collecting about 4 years ago, prior to that I only had industrials (and still do) but it all started with me wanting a more portable sewing machine so that I may sew in the dining room or living room. I keep them in their cases in my garage as that is my current sewing space but keep 2 of them out and rotate every month or so. I need to find out how to disasemble and repair top thread tensinor. Any help or diagrams would be appreciated. I have revised my review to include some diagrams. I hope they help you! 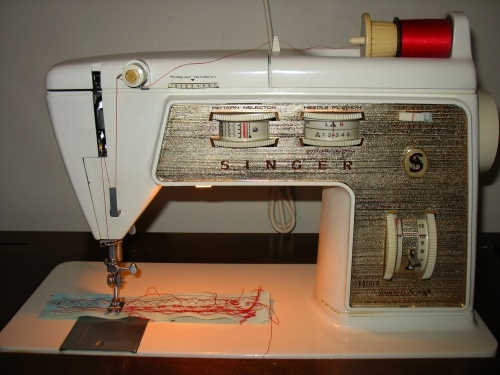 I added a tab at the top of my blog named “Vintage Sewing Machine Threading Guides”, click there to view one for the Elgin sewing machine. 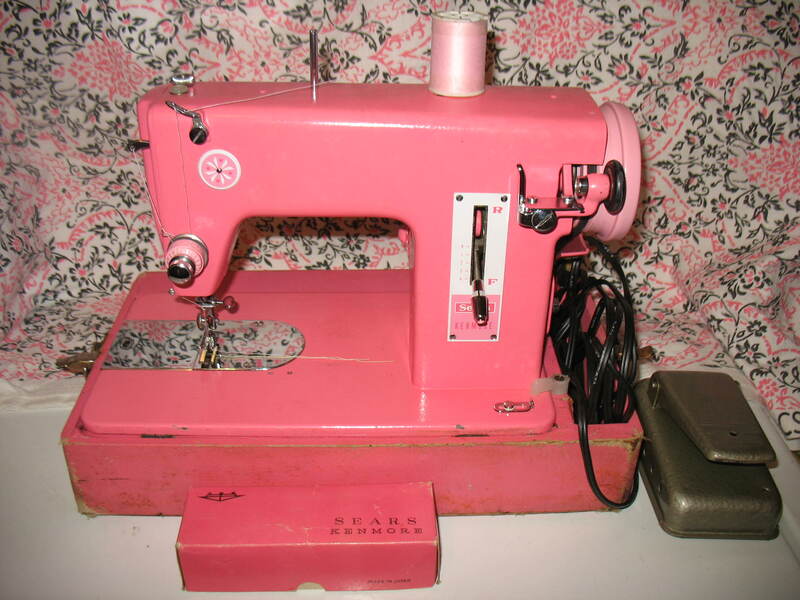 I will be doing a review on this sewing machine soon so check back. I am not familiar with your Singer model 706; it may be a European Singer model.? 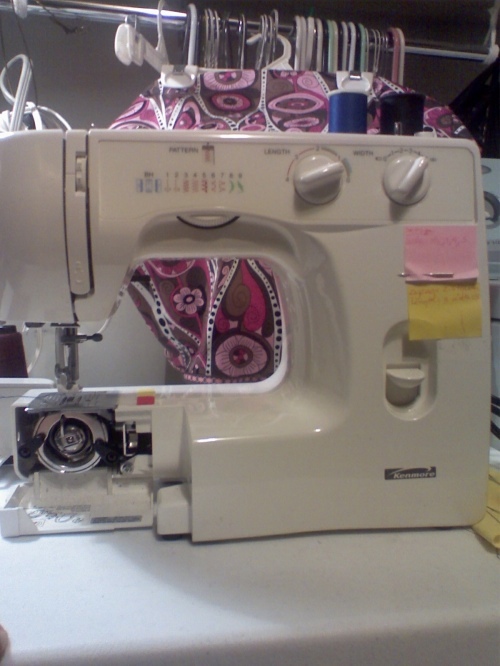 I am pretty sure your machine is one of the Touch & Sew models in the 700 series and I believe it is a decent machine. These are good sewing machines but a bit different from other very common Singers and I also have found that some repair techs hate them while others love them. The 700 series of Singers have a slant shank, a funny bobbin and other quirky features but I like these machines. Nylon gears on sewing machines are not a negative feature in my opinion. 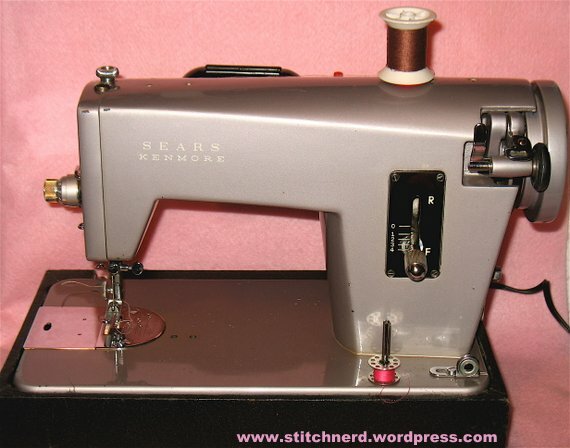 For anyone who owns this machine or is thinking of getting one, I highly recommend purchasing the sewing machine manual. I know that the Singer website sells it. These machines have so many features and different setting for everything that I myself need to have the manual out for reference whenever I use my Singer 750. I have a question. I have an Elna Elnita 245i, and the lower bobbin keeps sticking in the bobbin-cast carrier. What happens is the upper needle will start sticking, and then I’ll find 3 or 4 threads to cut coming up from the bobbin area. What is going on, and how can I fix it? I just bought this item off ebay(first day to try it out well), with no warranty. Thanks. I have a 706. I’ve had it well over 30 years . I am also in th UK. Mine was bought secondhand, it is in a cabinet. It’s well worth getting yours serviced if you are unsure about it. For some reason, some engineers don’t like working on the Touch and Sews. Luckily my local man is happy to work on it and organise repairs and parts. The 706 was made in Germany. The bobbin is a very special one that sits in the bobbin housing in only one way. The bobbin unscrews to remove thread. 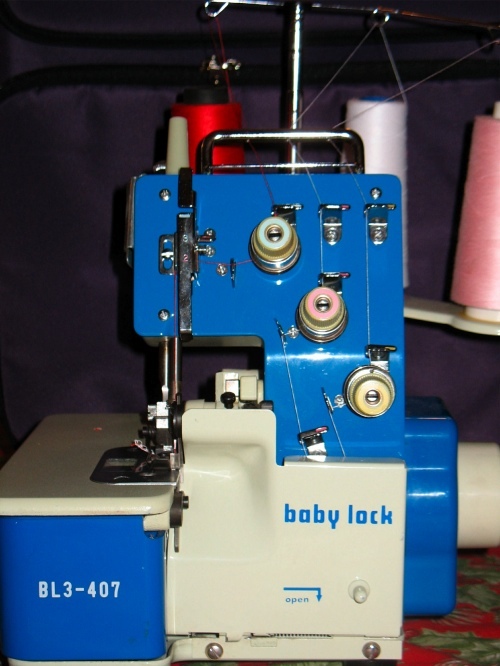 The machine has a self winding system, set with a lever to the left of the bobbin. 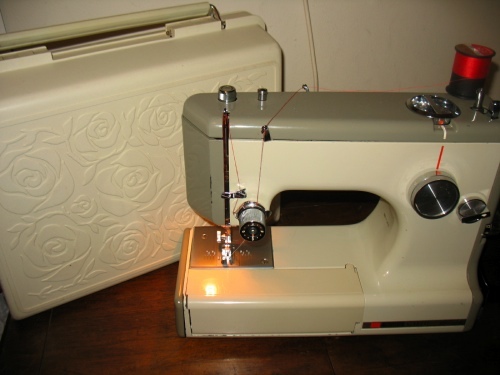 I recently bought a Toyota eco 15A to take to sewing group, it’s great and very lightweight but not a patch on my 706. You may find here what you need. I own a Kenmore 1560, which I have taken for servicing as it recently started screeching. Just found out the pulleys are bad, but the Sears parts site indicates these parts are no longer available. Do you know where I might find these parts? I love this machine and would prefer to fix it over purchasing a new one. Whenever I cannot locate a part for one of my Kenmores on the Sears website, I search ebay. 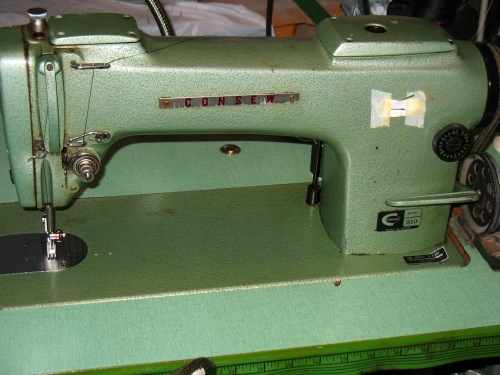 I just entered the following in the search box “Kenmore 148.15600” which is the sewing machines full model number and found a listing for the pulleys/lug belts this machine uses. Here is the corresponding item number on ebay for the belts: 360418280011. Enter that number in the search box and you should be able to view the listing. They are $6.00 each plus shipping. Thanks for the clue on the search. . . I had searched without the dot between the 148 15600, and did not find this grouping of parts. 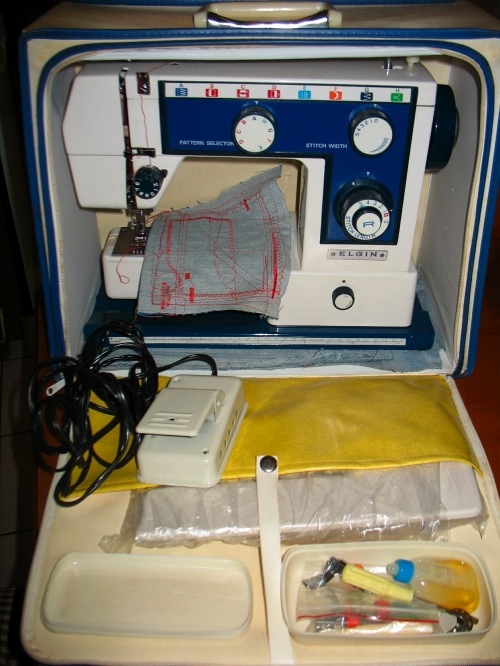 I need instructions for a Rimoldi Multi Needle & Cover stitchers; 529-00-2MD-06overlock. Hi, I am not familiar with the model numbers you provided nor do I know where to obtain instructions/manual for it. Sorry. 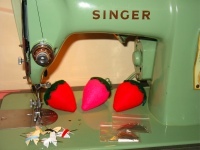 Hi Pat, a manual for your machine is available for free as a download at http://www.singerco.com/accessories/instruction-manuals/search. You can view my post here to learn how to search for it. I have just found your website. 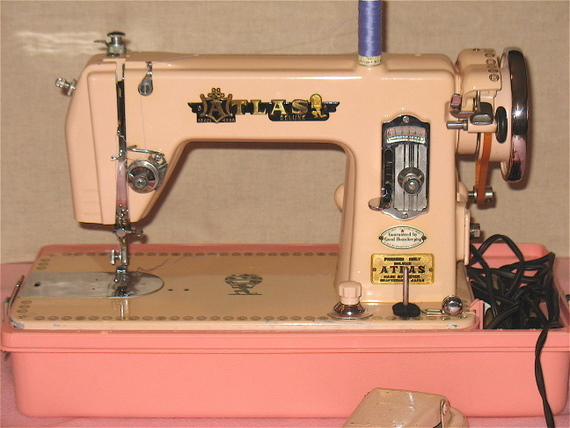 I have a Touch & Sew 706 which,after it’s last repair 3 years ago, new bobbin housing mechanism, sews like a dream. It purrs along at whatever speed I like. My machine is the one that fits into a cabinet. I wanted to part exchange it but the repair man said it was worth paying for the repair, as I wouldn’t get one of the same standard to replace it. We rarely see this particular machine going second-hand. I guess people just dumped them when they went wrong. This one needs a bit of a knack to use. I’ve just started going to a quilting group and have bought a Lightweight Toyota ECO 15A at the local Tesco Direct. I can take it along with me. It’s great but not a patch on my T & S. I’d like to send you a pic of my Singer., but don’t know how to. Imporessive …I sold both my industrial juki serger and singer because my husband was Bitchin I am not getting those moved again ! Now after seeing your site i am wishing for them back . 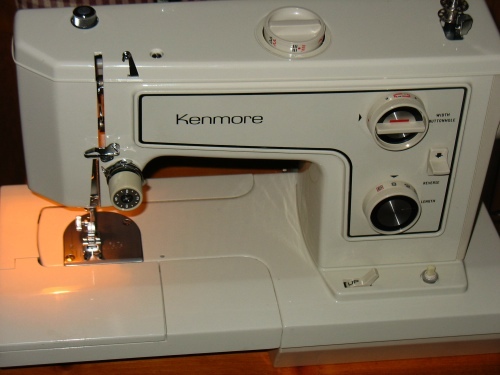 I just recently purchased the Kenmore Model 1040 and I’m also new to sewing. My silly question is once I thread the machine, do i need to put a knot on the end before I begin sewing or is there a piece that cut off the end of the thread for me? No, you do not need to tie a knot before sewing, nor do you have to tie one at the end. Sewing machine stitches will be secure but you can make them even more secure by doing a small reverse stitch at the start and end of stitching. Hope this helps. 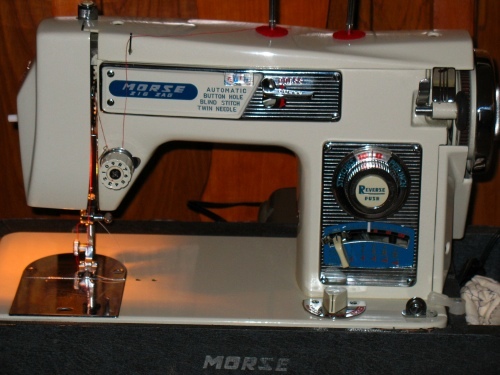 Hi, I recently found a sears Kenmore model 148/51210 sewing machine and I’m trying to find out information about it from what year was it made to how much did the cost back in it’s hay day to how much are they worth today. 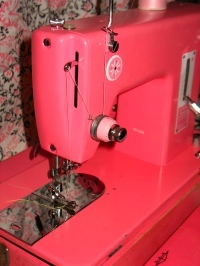 I love the my little gem of a sewing machine and the many different sewing stitches it does. 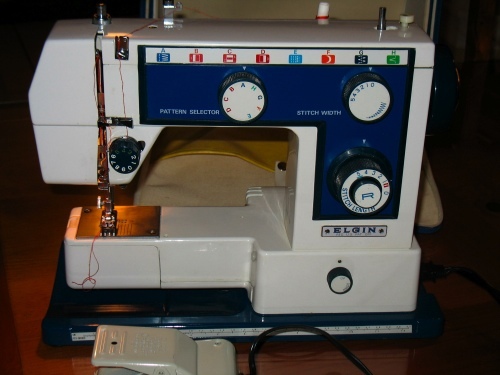 If you may have any information on sewing machine I would be appreciated. Hello, I have a vintage Kenmore whose model number I am trying to figure out, and I was wondering if you could possibly help; the model plate is missing. It looks almost exactly like your 1560, except it has a large lever instead of the bottom knob on the front, which controls stitch width and reverse, and it only does straight stitch and zigzag. 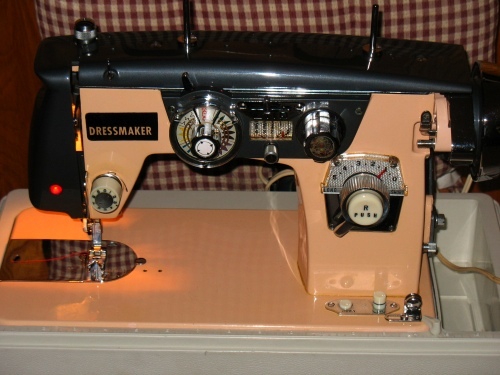 It has been sewing like a dream for more than a decade and has never needed any servicing besides oiling. I am just trying to determine the model number so I can get the manual for it, and also figure out if it will take a twin needle before I buy (and potentially break) one. I would so appreciate your help! Feel free to email me if you want photos. this topic for age and yours is the greatest I’ve came upon till now. I have a Universal (brand) Model KNB 870689 sewing machine that I’m trying to find a manual for. I’ve checked all the websites, which is how I found yours, but most of them don’t even list Universal as a brand. I acquired the machine from someone who just wanted to get rid of it and it had no accessories or paperwork with it. 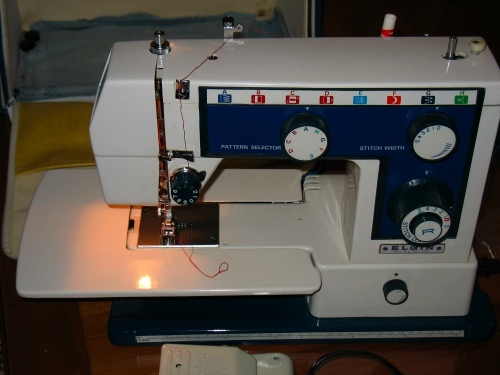 I serviced and repaired it myself to give to a friend who is wanting to learn to sew. I, myself am a 40 year plus seamstress. It’s a simple machine and I figured it would be easy for her to learn on it. Please, can you help? I just inherited a Baby Lock BL3 407 serger . I don’t know how well it works or how to thread it. Does anyone know where I can get an Owner’s Manual? Hi! I recently acquired a Kenmore 158-10400 and know absolutely nothing about it. I was hoping you could give me some info on it. How old is it? What dose the “10400” mean? Any information you could provide would be really helpful. Thank you? Love your helpful blog and nice pictures. 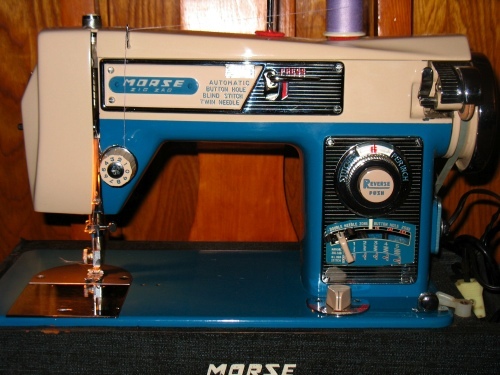 I have been “collecting” and fixing vintage machines for over 15 years now… My first was a turquoise and cream Brother 190 all metal. The Brother was stuck stiff from old oil, missing parts, and neglected, when I found it. 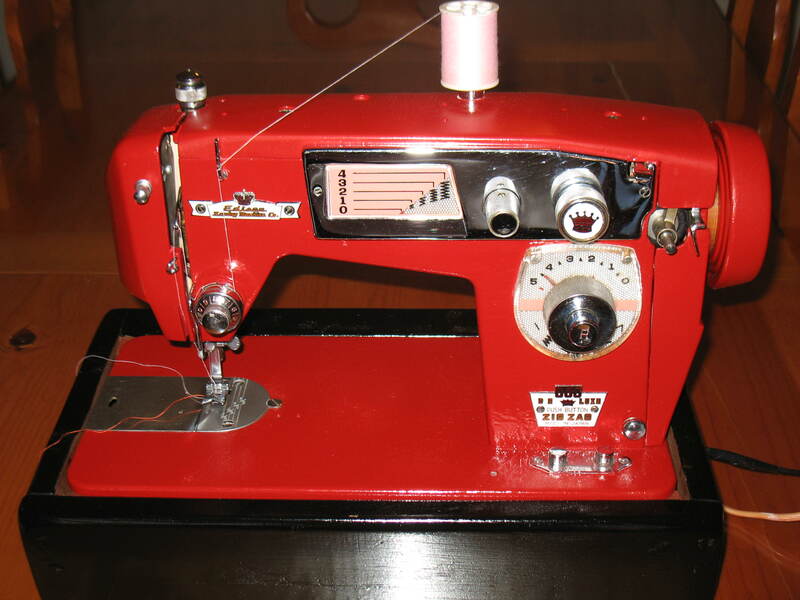 Once I got the missing parts, fixed it, and sewed with it, I was hooked on vintage machines. I have a 1030 Kenmore like yours and I love it! It is my go-to travel machine. I was very lucky to find it. Some of my quilting friends are now asking me to give them lessons on fixing vintage machines. But as you know, the older machines are pretty similar, but can be unique too. Mostly I find it hard to find the vintage parts for the older machines. I love your blog. Do you know anything about repairing cracks in a singer rocketeer type case or a singer 285 case? One of mine has a crack in the base and the top part. The machine is fine just the case cracked. 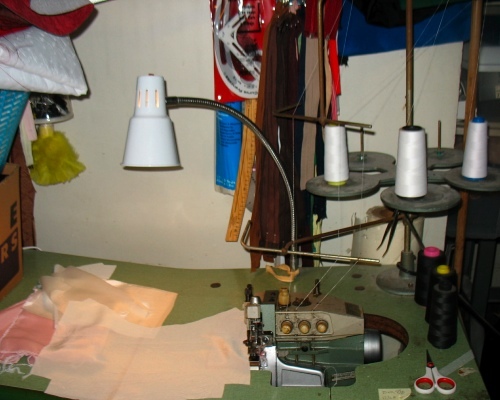 I have 5 sewing machines and 2 servers that I use regularly. 2 for upholstery/hvy duty sewing, 1 for dress designs/dress alterations, and 2 for basic ‘everything else’ projects/sewing orders. I collect vintage toy sewing machines and I should post a pic of them sometime. They are lined up on a shelf in my upholstery shop. They are too cute! Hi, checking if anyone has the instruction manual for Juki Baby Lock BL3-407. Would be so thankful if you could send me a copy. Cheers! 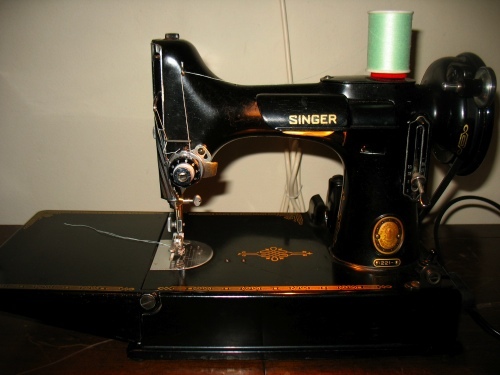 Hello I just acquired a singer 185J and your post is the best on the web! Great pics and you helped me find a manual. I had already looked on the ismacs site and the 185 manual was deleted, but your link worked still. Measuring for the belt and going to vacuum supply store today. Thanks for your work and for keeping the post active. I will be back! Love your blog!! You gave great info on my little Singer 185J. Thanks.